The Wildlife Conservation Society, which runs the Central Park Zoo, is geared towards the saving of animals and habitats. Through their four zoos and an aquarium, the Society strives to educate all visitors and school children that walk through their doors. Links to apply for jobs at Central Park Zoo are at the bottom of the page. Originally, the Central Park Zoo was not a part of Central Park; however, with the evolution of a menagerie of animals given to Central Park in 1859, a zoo was created. In 1864, a formal charter was granted to the zoo, the second publically owned zoo. By 1875, the Central Park Zoo was given formal quarters, 6.5 acres, within the park. The Children’s Zoo opened in 1961, offering a petting area with ducks, chickens, and rabbits. By 1980, Central Park Zoo was falling apart and was taken over by the New York Zoological Society (now the Wildlife Conservation Society), who closed it down in 1983 for renovations. The cages that had originally housed the animals were demolished in favor of much more natural looking habitats and most of the larger animals were moved to the Bronx Zoo. The zoo was reopened to the public in 1988, and the children’s zoo was renovated in 1997. All Wildlife Conservation Society parks see four million visitors every year. Currently, the Central Park Zoo charges admission for adults, children over three, and seniors, it’s cheaper to buy the tickets online than at the gate. If you’re looking for a group rate, those are offered as well. When you go to fill out a Central Park Zoo application, there are several jobs available. Many of them are seasonal, but there are several permanent positions available as well. There are multiple departments for you to choose to work for. How old do you have to be to work at Central Park Zoo? Age requirements vary by job, but for most jobs you have to be over the age of sixteen. Make sure to read all requirements for Central Park Zoo jobs carefully, some require you to have various degrees or experiences. Having full time Central Park Zoo careers comes with a variety of benefits, including a 401K and health insurance. There’s also paid time off, flexible spending accounts, and a pension plan. Unfortunately, there are no listed benefits for seasonal workers. Hours at the Central Park Zoo vary by the season, with the last tickets being sold a half hour before closing. From early April until early November, the zoo is open from ten am to five pm on the weekdays, ten am to five thirty pm on holidays and weekends. November until March, the zoo is open daily from ten am until four thirty pm. If you’re a seasonal employee applying for Central Park Zoo jobs online, keep in mind that your hours really depend on weather and time of year. Admissions Sales Associate – Customers come to you for admission tickets, so it’s key that you know all the ticket packages so you can make sure that they get the best experience for their money. Knowing and being able to answer questions about membership while filling out all the paperwork is also an extremely important of this job. Compensation is $8.75 an hour. Discovery Guide Assistant – Great communication and working in teams is a key part of this job as you’ll be mentoring and helping volunteers, ages fourteen to nineteen, accountable for what they do. However, you’ll also keep a fun and lively environment for both volunteers and visitors to maintain an exciting learning environment. Compensation is $15 an hour. Maintainer – Repairing and performing general maintenance on zoo buildings and equipment is what this job is all about. Having broad skills are a big part of this job as you never quite know what you’ll be repairing. As such, keeping good records on places that need maintenance are a necessity. Compensation is competitive. Actor/Adjunct Instructor – Knowing the roles for all the Wildlife Theater shows are mandatory as you could play any role on any given day and you will conduct special demonstrations with live animals. Having great communication and having great relations with various schools and teachers is a major part of this job as you aid in the education of children. Compensation is $15 an hour. Why do you want to work for Central Park Zoo? This is an extremely common interview question, so you should be prepared for it. Talk about what drew you to the zoo, whether it was the animals, the education, or the benefits, and why it’s your first choice. What experience do you have? Make sure to highlight all your relevant work experience. If you have education or acting experience, and you’re applying for that kind of a job, make sure to give specific examples from what you’ve done. Where do you see yourself in a few years? The interviewer wants to know if you plan to stay there, especially if you’re applying for a full time position. Be realistic in your career projections. Make it clear that you’re willing to take on extra responsibilities and challenges in order to become invaluable to the team. If you’re applying for an education position, you may be asked: How would you deal with disruptive children? Try to be positive in describing what you would do. Give a specific example of what you’d do and why. If you’re going to be working with volunteers, you may be asked: How would you dismiss a volunteer that is not meeting expectations? Be clear and specific as to how you would dismiss them. Explain how you had gone through the steps that would lead to dismissal, and what actions would lead to a dismissal, in your eyes. 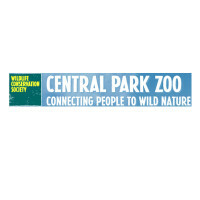 How to apply for Central Park Zoo online: as the zoo is run by the Wildlife Conservation Society, all jobs are on their website. Start by searching jobs, and select the Central Park Zoo. Once you’ve found the job that you’re looking for, click the title and follow it to the job description page. Then hit the “apply to job” button to fill out your Central Park Zoo application. A printable application for Central Park Zoo is not available. Before you go in for your interview, do research on the zoo and the industry. Bring a list of questions with you to your interview, several of them will probably be answered before you can ask them. Although this seems excessive for an entry level job, it will place you ahead of the other applicants. The interview will be formal, so make sure that you dress appropriately; business casual, at the very least. Have a positive and respectful attitude during your interview as it will show that you’re willing to help customers have a great experience. Make sure to show gratitude at the opportunity to interview with the Central Park Zoo. Afterwards, inquire about the best way to check on your hiring status. No applicants will learn if they got the job during the interview as the zoo will want to screen all candidates before making a final decision. Barona Resort And Casino: Use the Barona Resort And Casino job application to apply here. Harrah’s Casinos: See our guide for careers at Harrah’s Casinos. Mandalay Bay Resort & Casino: Mandalay Bay Resort & Casino offers opportunities for both, beginners and experienced roles. Cedar Fair: For career opportunities, fill out the Cedar Fair online application. Ameristar Casino: For employment at Ameristar Casino visit the application page.